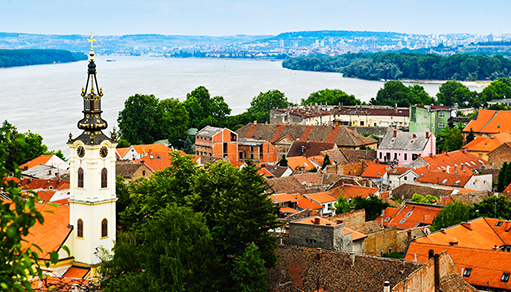 2 ISoP training courses were organized in the historic city of Belgrade, Serbia on the 27 & 28 May 2010 in collaboration with ALIMS (Medicines and Medical Devices Agency of Serbia) and the Faculty of Pharmacy, Belgrade. The basic course was one of the best attended ISoP courses held to date. 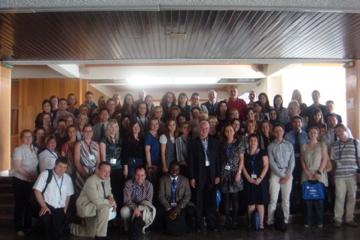 We welcomed 80 delegates to the Faculty of Pharmacy of the University of Serbia in Belgrade for two days of instruction on the principles of pharmacovigilance, on 27 and 28 May 2010. Chaired by Deirdre McCarthy, ISoP and Viola Macolic-Sarinic, Croatian Medicines Agency, the course encompassed a day of basic concepts followed by a day of regulatory considerations. The participants availed of the opportunity to learn from a range of international and local speakers from industry, WHO, academia, and regulatory authorities. On Day 1 we learned about the principles and mechanisms of adverse drug reactions, discussed aspects of individual case safety reports and spontaneous reporting as well as the intricacies of causality assessment. In addition, we heard about the hot topic of counterfeit medicines, signal detection from the WHO perspective and principles of risk management. The day concluded with a good panel discussion on training and education in pharmacovigilance in which we heard about a Croatian hospital e-learning program. The general consensus was that there can be no hard and fast rules on what type of person should manage and assess case reports – instead robust safety training should be the most important factor. It was also acknowledged that the skill-mix required to fully evaluate a case safety report should most probably come from a team of people, rather than one individual working in isolation. Day 2 began with an overview of regulatory requirements for Serbia and Croatia. We then heard about ICH, CIOMS and the EU regulatory framework. An overview of medication errors from a local industry representative followed, as well as a comprehensive talk on safety considerations for the generics industry. In the afternoon, we covered PSURs, had a lively debate on vaccine-vigilance led by local and international speakers and had an introduction to pharmacoepidemiology. The day concluded with two insightful talks on preparing for EU membership by speakers from the Serbian and Croatian Agencies. Participant feedback was very positive and the course proved to be a very valuable learning exercise in the historic and cultural city of Belgrade. Around 40 people attended the first ever ISoP clinical trial safety course in the South-East European region which was co-chaired by Drs Brian Edwards (UK) and Vid Stanulovic (Serbia). The session opened with a review of the changing regulations in Croatia and Serbia given by Maja Lovrek (previously of the Croatian Agency) and Zorica Vucinic of the Medicines and Medical Devices Agency of Serbia (ALIMS). Sinisa Radulovic of the National Cancer Research Center, Belgrade then discussed further the ethical basis of clinical trials, the Declaration of Helsinki and the details of Good Clinical Practice. Herve Le Louet (Paris) described the responsibilities of an investigator with practical tips of what to do. There then followed a presentation of the importance of team-working in delivering Safety and good compliance. These team-working principles were illustrated by an exercise whereby the group broke up into six teams for a competitive exercise. Following lunch, Dr Edwards gave a summary of the responsibilities of ethics committees and competent authorities especially based on lessons learned from implementation of the EU Clinical Trial Directive. Representing the industry viewpoint, Natália Kocánková (Czech Republic) described the reporting obligations of a clinical trial sponsor. The first day ended with a discussion about the obligations of a medical monitor. The second day started with presentation by Dr Edwards about what safety data should be collected and how followed by an update on how to assess the risk of hepatotoxicity in development given by Milena Miljkovic, Medicines and Medical Devices Agency of Serbia (ALIMS). The delegates then formed teams to assess the quality of four published clinical trials and the team leaders presented their conclusions. After lunch, Dr Edwards described the different approached to signal detection and how this is linked to managing risk in clinical trials. The second day ended with a summary of the current status of clinical trials in Oncology and HIV presented by Katarina Ilic, School of Pharmacy, Belgrade. All in all, the discussion was lively highlighting misunderstandings about what needed to be reported and what regulatory expectations are for staff competency. This illustrates why it would be such a good idea to have a South-Eastern Europe chapter for ISoP to build on the success of this training meeting and enable networking so difficult topics can be debated thereby enhancing understanding of what we are trying to achieve through Pharmacovigilance.